Harajuku Monster girl in pastel fashion wearing a ribbed ruffle top, peplum skirt, sheer socks, platform sandals, and a transparent bag. 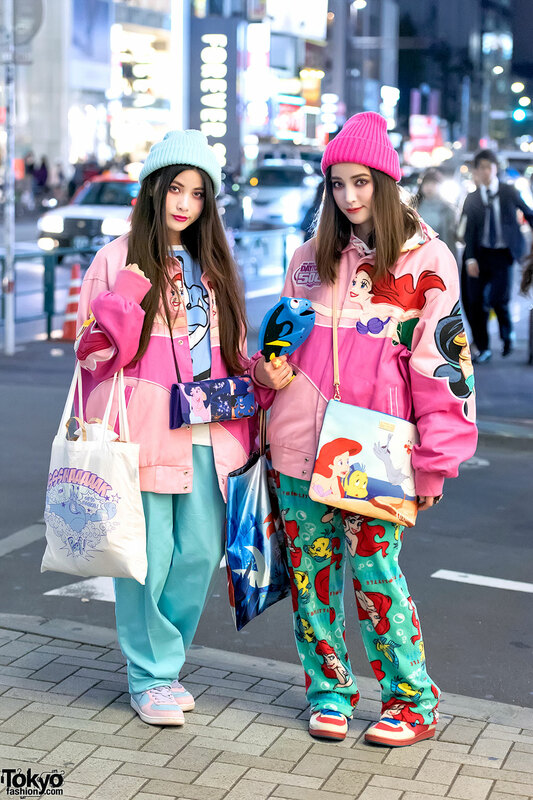 Japanese college students wearing super colorful and cute vintage street styles including a bag from the PowerPuff Girls x Moschino collection. Harajuku girl in hoodie, t-shirt and ripped jeans, with backpack and studded lace-up boots vs. Harajuku girl in shirt over t-shirt, maxi skirt, studded bag and loafers. 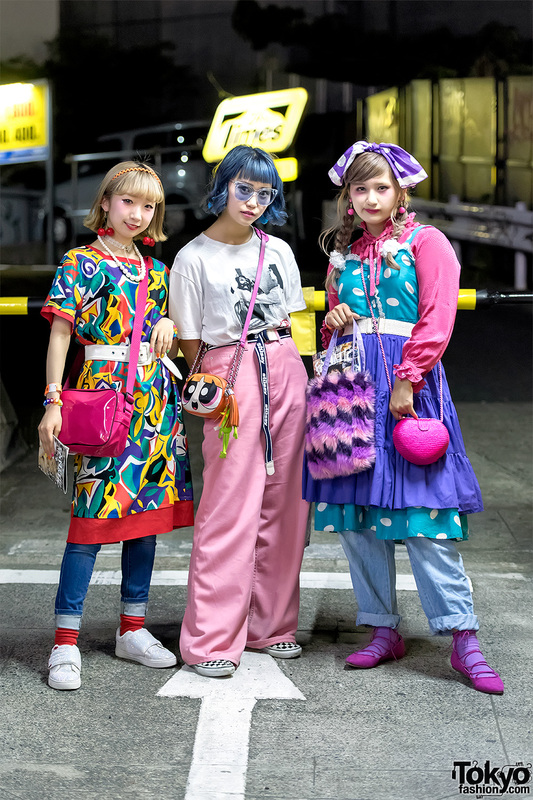 Harajuku girl with pink hair wearing a beret, sunglasses, floral sweater, shorts, over the knee socks, lace-up boots and red bag.